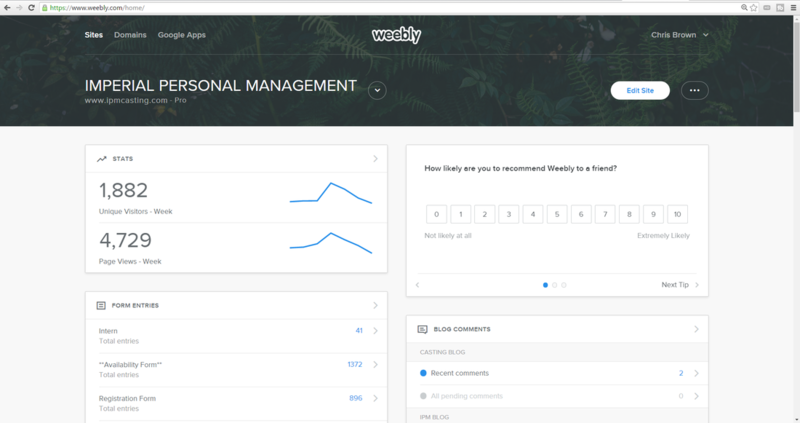 The Weebly dashboard is the hub for IPM Weebly websites, this will be the first page upon logging into Weebly. 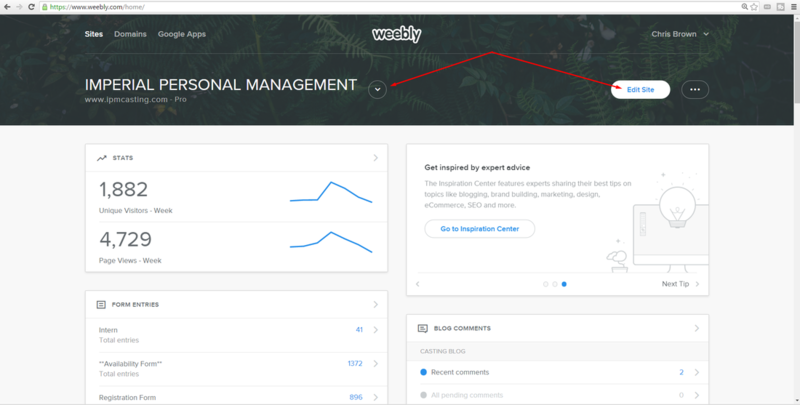 This page is useful for gaining insights to the website's performance , such as weekly unique visitors and page views. To start editing an IPM website, select the website you wish to edit using the drop down menu, then click the 'Edit Site' button to begin editing.